ISS is a Specialist Business Risk Management & Security Consultancy which has established a strong reputation for its thorough and detailed approach to identifying, assessing, mitigating & managing risk so as to enable its clients to protect their staff, safeguard their assets and investments, concentrate on their business operations and pursue new opportunities. Infinite Security Solutions (ISS) was established in 2005 by its Chairman and Director, a former Royal Marine and member of the UK Special Forces. During this period, he was a member of a strategic military team that developed the global protection of the UK's Offshore & Maritime assets. Upon his successful completion of a 16-year military career, he was appointed the Senior Advisor to a Middle-Eastern government, with particular responsibility for the protection of their sovereign Oil & Gas and Maritime assets. In the wake of the 9/11 terrorist attacks in the USA, the global maritime community developed new regulations in response to the perceived increase in threat levels to ships and port facilities. With the introduction of this new regulation - the International Ship & Port Facility Security Code or ISPS Code - he was engaged as a key Training Instructor, as he delivered ISPS Courses for Lloyd's Register. This exposure led to him becoming a prominent figure in the Asian Maritime industry. 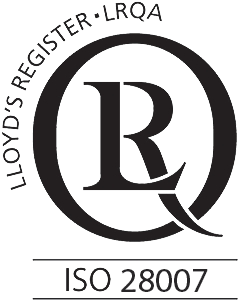 Building upon his wealth of experience and knowledge, and a broad network of contacts, he established ISS, which has grown to become a well-respected Risk Management and Security Consultancy, a recognised, leading provider of Anti-Piracy security solutions, and the first company in Asia (and one of a handful globally) to obtain the ISO PAS 28007 international standard for the Provision of Private Maritime Security Services. His vision and leadership has led to ISS operating in the UK, Europe, the Middle East, North America, throughout the Asia Pacific, and in North, East and West Africa, with a trusted global network of consultants, and offices in 7 countries at present. The requirement for Risk Management and Security has become more evident over recent years with the spread of globalisation and the threat of terrorism, and has now become even more significant in the current World Economic Crisis. Worldwide, Companies and Government Agencies alike need to safeguard their personnel and assets. Risk Assessments made in advance of a project and, if required, security measures or personnel put in place during the project, can produce considerable financial savings in the long term. ISS has extensive experience in Risk and Security Management which allows us to easily identify individual clients' requirements, and produce a suitable solution ensuring absolute customer satisfaction and, above all, peace of mind. Created by cr8.site © 2017.